While waiting for more Kaito Sentai Lupinranger VS Keisatsu Sentai Patranger news, feast your eyes on these newest magazine scans featuring the 2018 Super Sentai teams that debut next month! The first picture is a great shot to show the similarities between the two costumes. 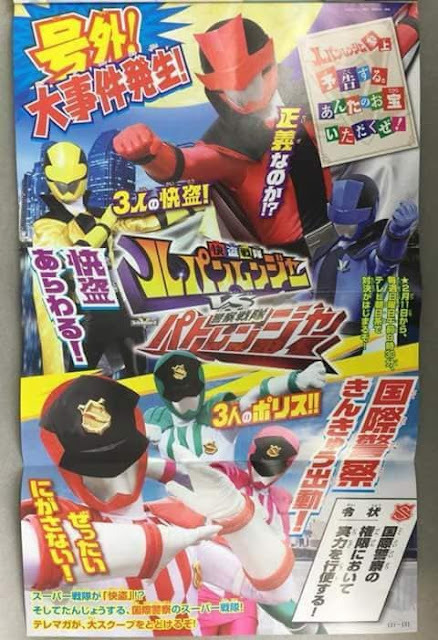 So will the 7th ranger this season be a Pato, a Lupin, or other? 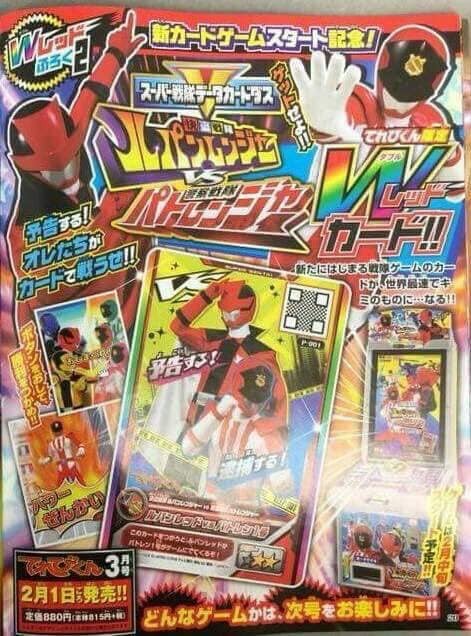 Worst case scenario, its red centric with two red rangers. @anon2, your theory of red being a double agent seems unlikely (for now anyway). 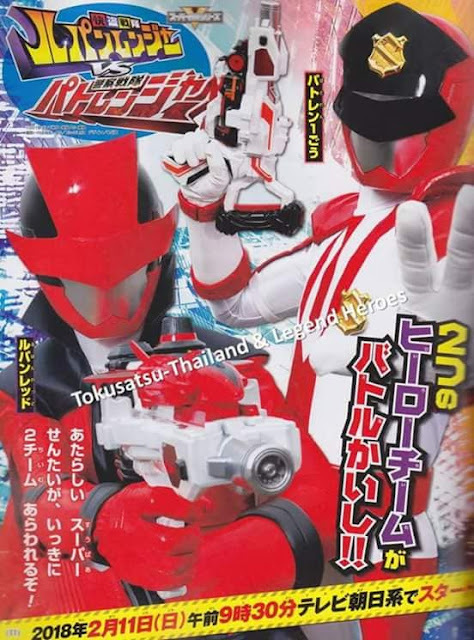 I've seen magazine scans of Lupin red and Pateren Ichigou facing off. Not only that, but casting rumors have six actors listed. 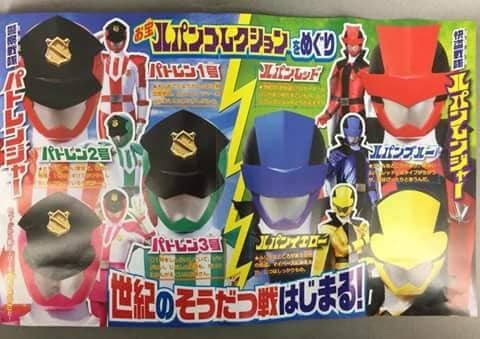 Dunno if it's real or nit but there are some rumour that Patranger's red is a strict defender of justice guy, while LupinRed is a stylish hot head. 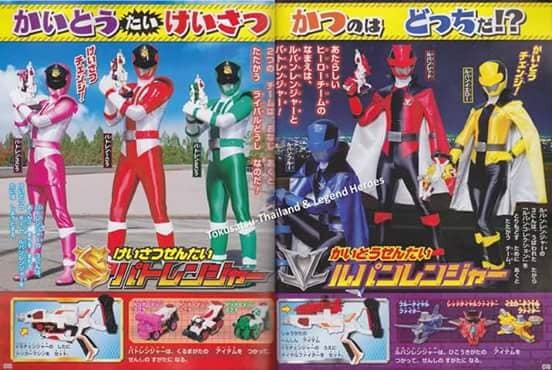 There's no way that it's the same red ranger because lupin red and patren ichigou have different suit actors. 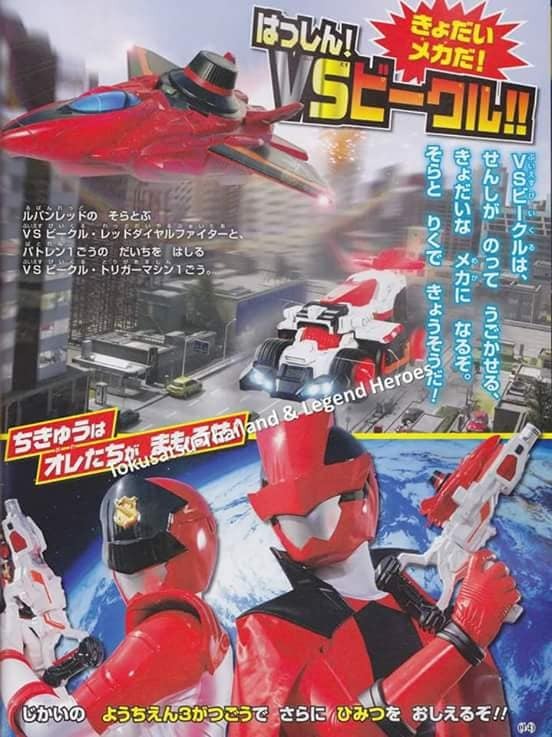 Plus, they have been seen together in the scans. new scans shows both teams meeting each other, meaning PatrenIchigo is seen with LupinRed, so if one guy is the red ranger for both teams, how is that possible? They are hats! How did I miss that!? I am SUPER excited for the show to come on! Where do you stream it? Jatoku? Kissasian?